If you've been looking for the best SUV on the market, your search is over. The new Jeep Grand Cherokee was named the Best SUV to Buy in 2018, and we're going to find out why in this 3-part blog series. We'll cover this old favorite inside and out, beginning with a close look at the design and styling. Without question, the Grand Cherokee is the most luxurious vehicle in its class. Thanks to its strong character and classic design, the SUV has remained well recognized for over 25 years. The distinctively styled front paired with smooth surfaces and sharp, curved lines take style to a new place in Bismarck. The chrome-grille slats add a piercing element to to the classic and iconic seven-slot grille. You certainly have your fair share of options here. No matter which look you're going for when you make an entrance, Jeep puts the choice in your hands with their wide selection of wheel options. Jeep doesn't miss a detail. Beginning with the signature headlamps to the standard LED tail lamps, the Grand Cherokee offers an alluring sense of sophistication, and you'll surely be seen by others on the road – day or night. Opt for even more luxury on your new Grand Cherokee with the available Platinum Series Group. You'll be cruising through North Dakota with 20-inch platinum aluminum wheels, platinum exterior accents, body-color door handles and mirrors, and more. If making a statement with color is your thing, Jeep doesn't leave you high and dry here either. Which is your favorite? 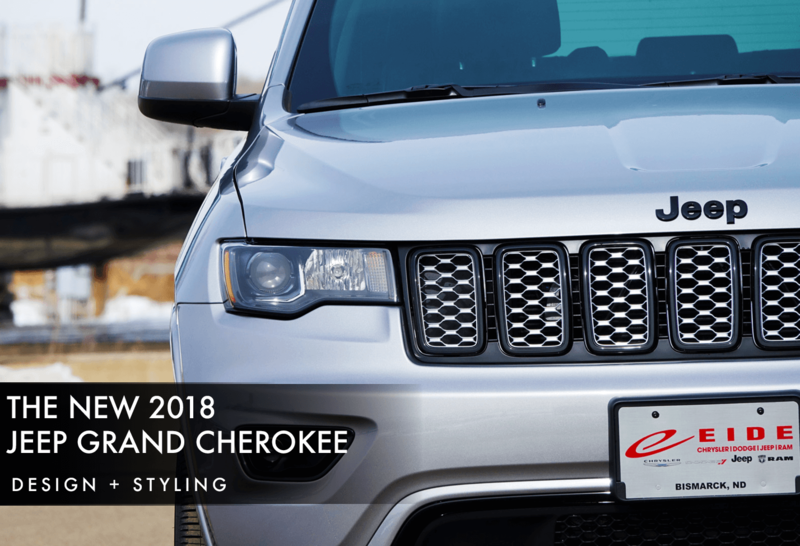 We're excited to have this new SUV-leader on our lot in Bismarck, and we can't wait to see our customers drive home in their new Jeep Grand Cherokee. In the coming weeks, we'll be covering the performance + handling and the comfort + convenience of this model. 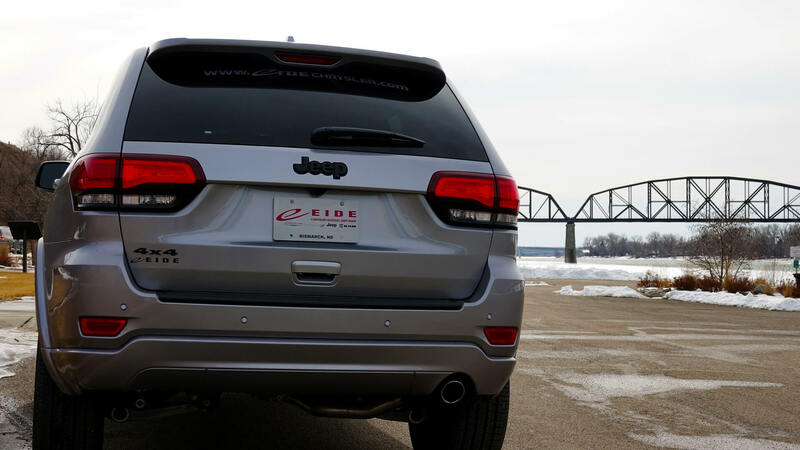 In the meantime, take a look at our Grand Cherokee options in Bismarck. Schedule a test drive if you like what you see!